For those who want to escape and relax in one of the most luxurious, truly upscale accommodations on Kauai's incredibly beautiful north shore...this is the place. 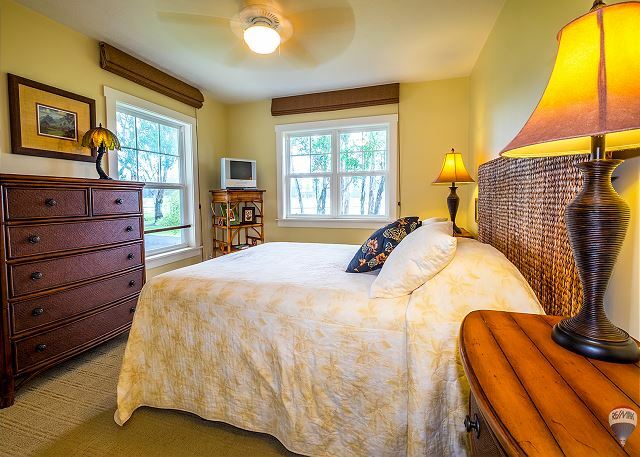 Not your run-of-the-mill vacation rental, it is the ideal place to come home to after the beach, golf, or other vacation outings. Everything in the professionally designed interior is highly upgraded - and absolutely gorgeous. The classic tropical ambiance is reminiscent of gracious plantation lifestyle of old Hawaii - but with all the modern conveniences. It has full views across the golf course and lakes to the deep, green mountains and waterfalls beyond; along with some ocean views. 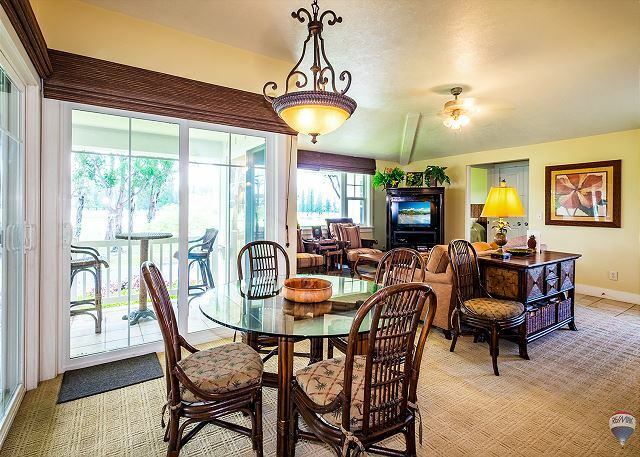 There is a large lanai, as well as ceiling fans in every room. It is a place you will want to return to again and again." 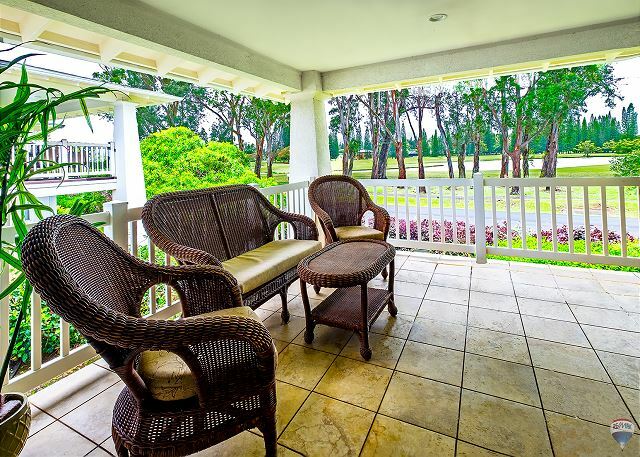 As a guest at Plantations #521 & RE/MAX Kauai, you'll have access to Kauai's Premier Concierge Service at (855) 665-2824 http://kauaiva.com/index.html, we will help you build your perfect vacation. Great Layout and wonderfully appointed with all the items our family wanted. Even had beach gear and a private garage! Would have given 5 stars on maintenance though smoke detector batteries got low on our first night and chirped from 2am on with no replacement battery and garbage disposal did not work, there's a sign that says its weak, so they should replace it with a high quality one. Maybe they have by when you stay! Rental was in good shape, beds were comfortable, kitchen was workable (need new knives! ), location was fantastic, and we enjoyed the view from the porch. Main con was the traffic noise in the bedroom with the double bed. We were traveling with a one year old and the place was well suited for children. Second time in 2 years at Plantations, great views of mountains that will make you forget the road noise during the day. 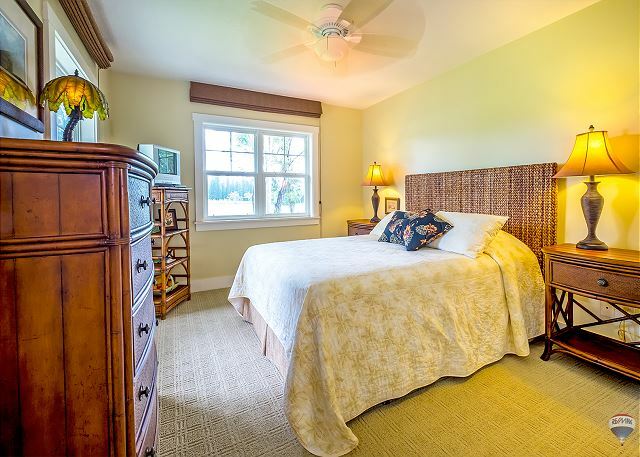 Unit needs minor electrical repairs for the master bedroom a/v system to work correctly and the lanai lights are fluttering. Nice well equipped and maintained property for a reasonable price. 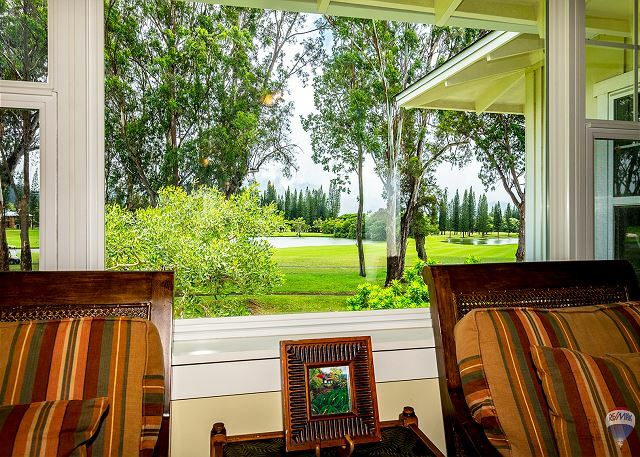 The property faces the golf course with great views of the mountains but a there is a bit of noise from the main road when you are the in lanai or if the windows are open. Beautiful home. 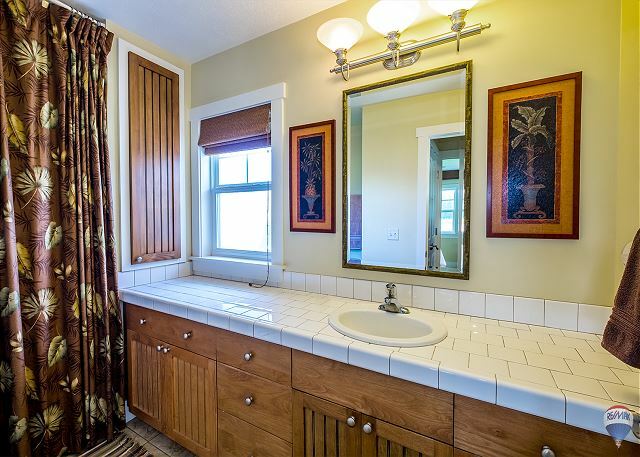 Spacious, lovely details, in excellent condition. The nicest condo we've stayed in. Luxurious. Beautiful surroundings; delightful deck. Regarding the location, we spent too much time driving to different things, particularly since the rains had caused certain places to be inaccessible. Overall, the condo was great and at a fantastic location looking across from the golf course. We had a nice stay for a family of 5 - mom, dad, grandma and 2 boys ages 7 & 9. Unit was clean, spacious enough, quiet and had everything we needed. Property managers were responsive with any questions and had great advice on local things to do. 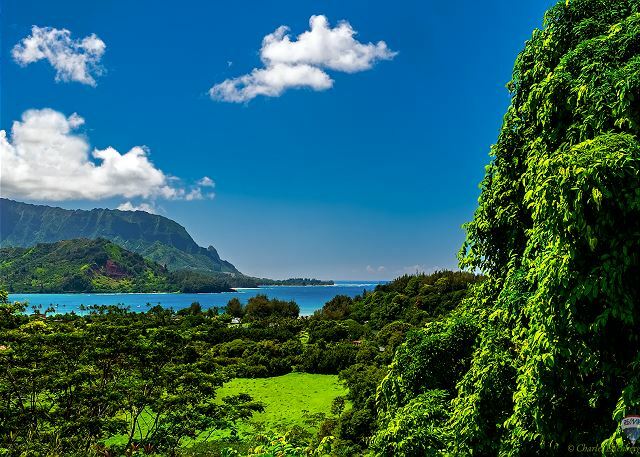 Location was perfect for a quick trip to Hanalei, though if many activities are in Lihue area, expect the drive with traffic. Only thing that was a bit odd were the pool rules - definitely seemed written to ward off kids playing. Most in attendance using weren't concerned if some rules were bent a bit, but whomever wrote definitely had a slant towards the strict side. 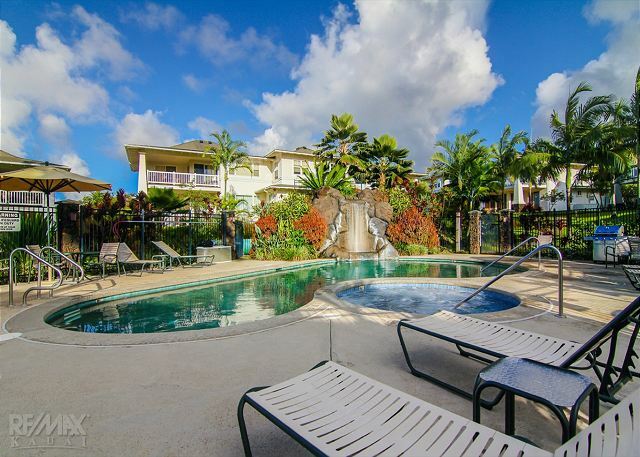 If you’re traveling to the Princeville area, this is a wonderful condo to rent. The owner’s have thought of everything you might need for your stay, and have furnished the condo with attention to detail and comfort. We felt so relaxed and welcome. Highly recommended. Excellent third time at this unit. Safe, clean, great amenities, love the pool and fitness room. Only suggestion would be to improve or increase the wifi capabilities as they were non operable on the TV and extremely slow on the laptop. My wife and I had an amazing honeymoon experience at the Plantation at Princeville. The condo was gorgeous! Super easy to check it out online, booking was a breeze. Great location and such a fabulous place to stay. The plantation 521 had more than enough space to accommodate our two families. The pool and hot tub were wonderful assets as well. 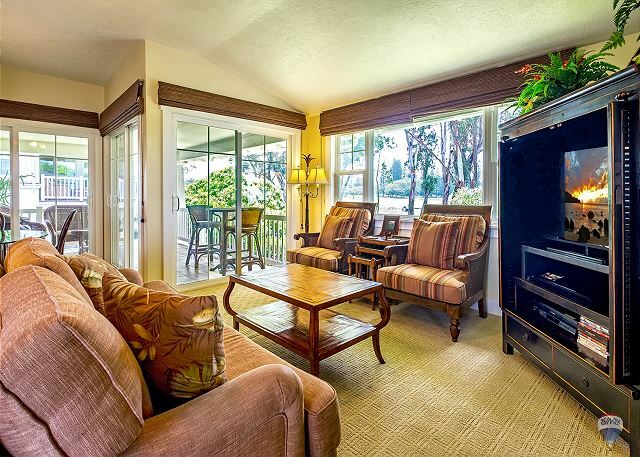 Top Notch Princeville Condo-Need I say more? Quite spacious and very well appointed/equipped condo in a great location. Only downside: no a/c in 2 smaller bedrooms, so sleep with those doors open. Beautiful views of mountains (and waterfalls after rains). No water views, but walking distance to Queens Bath, Hideaways and Hotel (ok, long walk). (there is a small 8 car lot for public parking at the hotel, but get there early for a space). We weren't thrilled with the responsiveness of the rental agency--we were almost locked out our first night on late evening flight arrival. Our fault, but easily avoidable with prompt response for lockbox info. 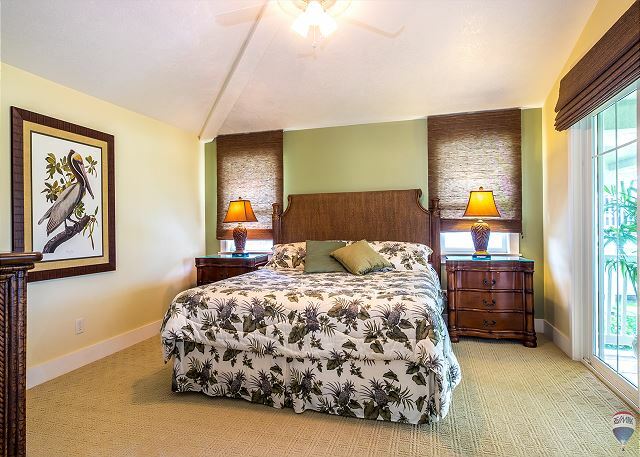 We have stayed at Plantations at Princeville several times and have always been very satisfied with our choice. Condo #521 was perfect. 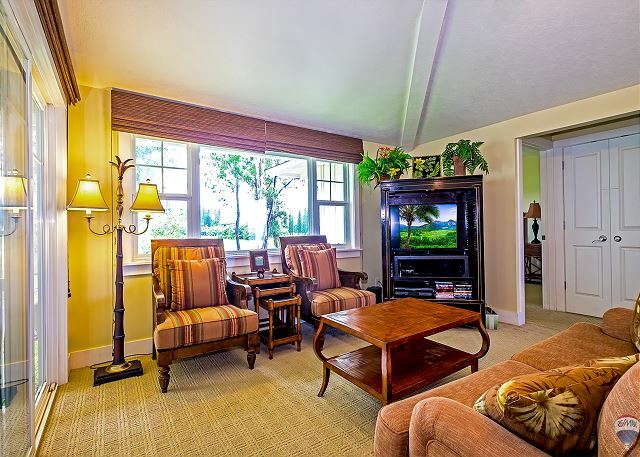 With the updated decor, relaxing lanai, beautiful golf course views and all the amenities we needed, we certainly enjoyed our stay here. Also, the Remax staff were very professional, helpful and friendly. 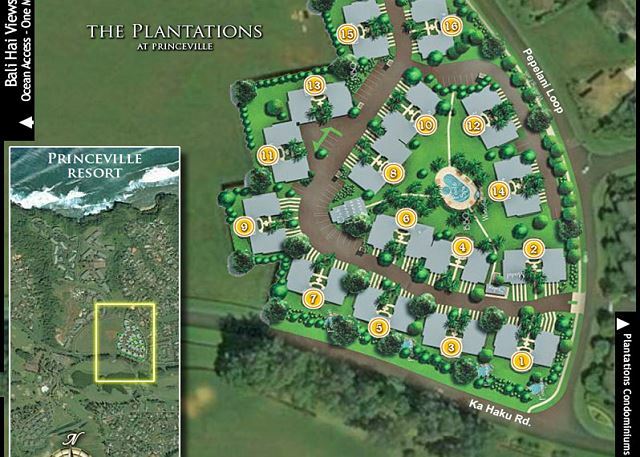 We recommend Plantations at Princeville, especially Condo #521, to anyone looking for accommodations in the Princeville area. We absolutely loved our stay. Property is in a very nice part of Kauai. The area is BEAUTIFUL! The property included everything we need for our week stay including extras like beach towels, beach chairs, boogie boards. I highly recommend staying here. We were completely satisfied above and beyond any expectations. 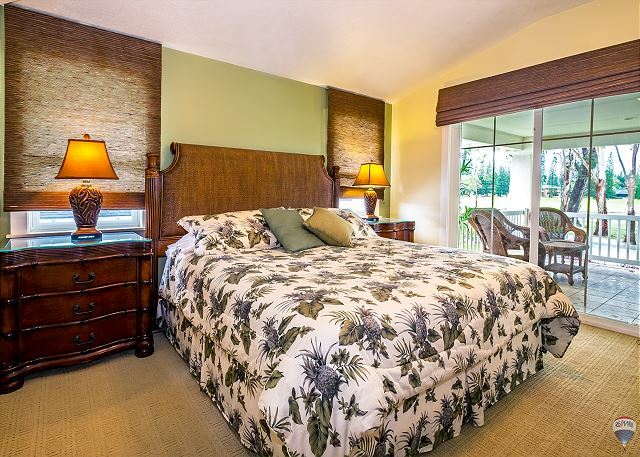 Mahalo for writing such a nice review regarding your recent stay at Plantation #521. The team works very hard to exceed each guest’s expectations and it is a true pleasure to hear how much you enjoyed yourself! We look forward to your next visit! -Tamee D.
ReMax was great and so easy to work with. My wife and I loved the place and wished we had others to be there with us to enjoy the large condo. The A/C was great to have & blocked all of the road noise, the place was super clean, and the beds were super comfy (which was great, because I often get back pain when sleeping, but had none at Plantations 521! :) ) Would stay here again in a heartbeat. Ps, great view of the mountains! This property was perfect for us because we were traveling with an infant. It was clean, comfortable, and spacious. The view was amazing! The RE/MAX staff was friendly, extremely helpful, and professional. We used the RE/MAX concierge service to book several excursions and found that service to be very useful. We came for a three night stay and were very pleased with the clean, nicely appointed condo. It had all the furnishings, appliances, utensils & dishes we needed and was in a good location for walking each morning. The condo was better than we expected. They thought of everything that you may need. I would only suggest that some of the cookware be replaced due to the damage made by people who used incorrect cooking utensils, get a dish drainer and check the garage remote. Remote didn't work most of the time. Otherwise, I definitely recommend renting this place. Street noise wasn't a big deal. If I ever go to Kauai again, I would stay here again. The unit is beautifully appointed and furnished. The rooms were comfortable, and even though only the master bedroom and living room were air conditioned, the other rooms had ceiling fans which worked well. It was great to have a garage, and the fact that there were 6 beach chairs and 3 boogie boards to use was a plus. The main room overlooks the main road and golf course, so expect some traffic noise throughout the day, but if you close up the sliding doors, you cannot hear the light traffic. The kitchen was well stocked with plates, utensils and cookware; I liked the rice cooker and blender. All appliances are modern and worked well. No issues. The Foodland store is just 5 minutes away, but the better prices are in Kapaa. Stay here if you want to get early access to the beaches on the North side. If you want to head south, expect a 40 minute trip to Lihue and an hour to Poipu. I would stay here again! Great place and host by RE/MAX Kauai. Over the past 12 years I have vacationed on Kauai 6 times, and each time I find something more amazing then the last. I have stayed at several properties and this time I stayed at Plantation 521 using Remax as the property broker. Overall this property was fantastic; super clear, well stocked, very nicely decorated, beds were comfortable for all of the travelers (6), beautiful views of waterfalls, great location for all of our excursions, and lots of unexpected extras. Remax was easy to work with the very helpful when I had questions. The gym was nice and well equipped for club house gym and the pool and BBQ’s were well maintained and full of propane every time. Our condo was on the second floor and backed up to a feeder road and this was not a problem the traffic and traffic noise was not noticeable to us. The three bedroom three bath configuration matched our needs and made the experience great (plenty of room for everyone). My overall experience was five star, thank you Remax and Kauai. House was almost perfect. Lights in master bath were not working and towel rack fell off upon taking a towel off the rack. Other than that the place was as shown in pictures if not nicer. I would recommend this place. 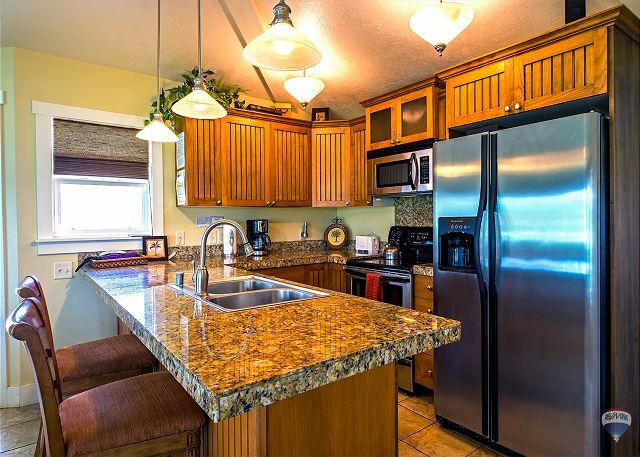 The 3 bedroom 3 bath makes it very nice for a family with grown children to vacation together. Location was a little hard to find because we arrived late and it was dark. For our 10 day stay, we were very comfortable at this condo unit. We really felt like we hit the jackpot when we walked in - this unit is decorated like a model home and was immaculate! Our family of 6 (2 grandparents, 2 parents, 2 kids) had everything we needed for our vacation. One of our main concerns was having the extra supplies that you need for the beach - and this condo had more than we expected! In the garage, there are at least 5 folding beach chairs, 2 beach umbrellas, a variety of beach toys, snorkel equipment, boogie boards, and a skim board. There are 5 beach towels in the condo, as well as a medium size cooler and a variety of shopping bags. Some reviewers have commented on a crying baby next door- we didn't hear a thing. The neighbors do look like permanent residents. Also, reviewers have mentioned road noise - and this is a factor to consider. When the windows and doors are closed, the road noise is very effectively blocked. But if you are sitting on the lanai or if you have the doors open - it gets a bit noisy. All of the condo units that back up to this main road will have the same issues - the road is busy, especially during morning and evening commutes. While this was a minor annoyance to us, the stunning mountain/golf course views more than made up for the noise. And it provides some fun people watching. 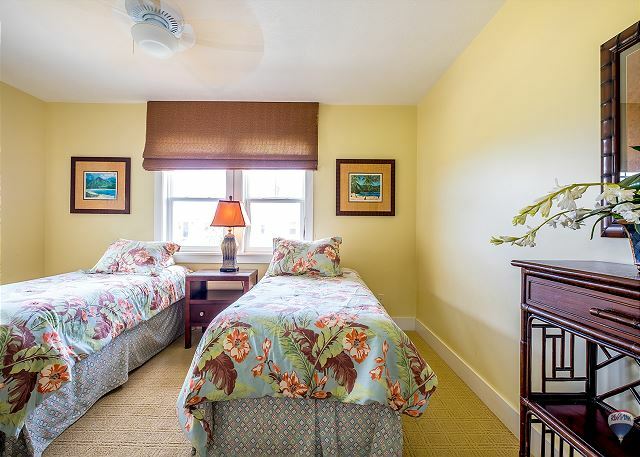 In the kid's room, the one with the twin beds, the noise is not an issue at all as this room faces into the condo complex. The master bedroom has one sliding door that faces the road and the room with the queen bed as two windows on the road side. These rooms get some road noise even with the windows closed, and some amount of headlights reflecting in. Bottom line: If you are very sensitive to noise, this might not be the condo for you. But if you can deal with a bit of traffic going by - this won't ruin your trip. No condo can guarantee absolute quiet. This vacation rental was amazing. So spacious and beautiful and comfortable. Everything you need, convenient and relaxing!! We were so pleased with both the quality of this rental and the attentiveness we received from the property manager. Our family of four was able to spread out in the very spacious unit. The beds are so comfortable. Linens and extras you would have at home are all thoughtfully provided. The view of the mountains and golf course was beautiful all day long. We were happy to trade sunset views for a larger and newer unit. It is a short and pleasant walk to see the sunset. The pool and hot tub were also enjoyed by our whole family. Although we live in Hawaii, we enjoyed having A/C and therefore had little to no road noise while inside. We appreciated not having to drive too deep into the resort area each time we ventured out. This made getting to the store or into Hanalei much quicker. We will certainly stay here again when visiting Kauai. Very well equiped with everything you need more than we expected. Very clean, quite and cozy it felt like home. We will come back next year for sure. This was the nicest place I've stayed in a while. Wonderful furnishings, living space, sheets, everything!, loved the deck and the partial waterfall view. It is on the road but we loved the people watching in the day and e complete soundproof at night! We were never bothered by the cars. Pool was nice though closed 2 of the 4 days we were there. There were 2 unfortunate events that happened before our trip. That Friday before we left, our 4 year old son was diagnosed of Kawasaki disease and was hospitalized. We were not sure if we still can go, everything has been booked.2 days before our departure, we were released from the hospital. His pediatrician gave us clearance on Tuesday and that same day, my husband who is a registered nurse lost a patient that he has been taking care of for years. Our spirits were not really up when we left. And the place that we stayed in Hawaii was like a home away from home. It was more than what I have expected. It was so neat and very organized. It was not difficult to find stuff. We got the feeling that everything was there ready for us. I felt like the place was made for us. We have 3 kids ages 12,4 and 3. The bedroom with the 2 twin beds were perfecr for my toddlers. We loved the patio in the back. This was a good hang out place for my kids. They loved to watch the birds, the chickens, the joggers, walkers, the lush golf course, the rain, pretty much just everything! I loved the kitchen. I was luky I had the comfort of cooking meals. We are huge fans of home cooked meals most especially breakfast.The washer & dryer helped me a lot.I did not have a lot of dirty laundry when I get back to California. We went home to California and days after that we still can't stop talking and thinking about Hawaii. We took photos of the condo and it will always be remembered. I know for sure that if we go back to Kauai, we would like to stay there again. Great place to base your stay out of. we really loved the condo. the cleanliness and decorating made it a great place to come back to. Amber Sky at RE/MAX Kauai was really nice, helpful and professional to deal with. If you want to stay in style pick this condo. 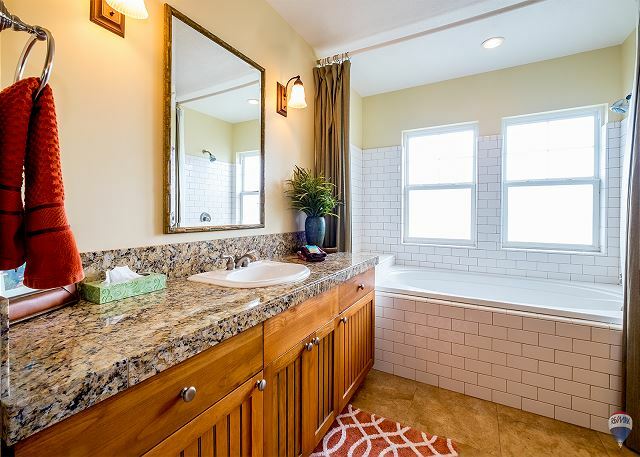 This three bedroom and three bathroom is amazing. The location on the north shore was incredible. We will be back soon to "The Plantation #521". Will be back to #521 as soon as we can!!!! We traveled and stayed at many high end resorts while in Hawaii. We can tell you we will never do that again. This was our first experience with a condo and it was amazing. 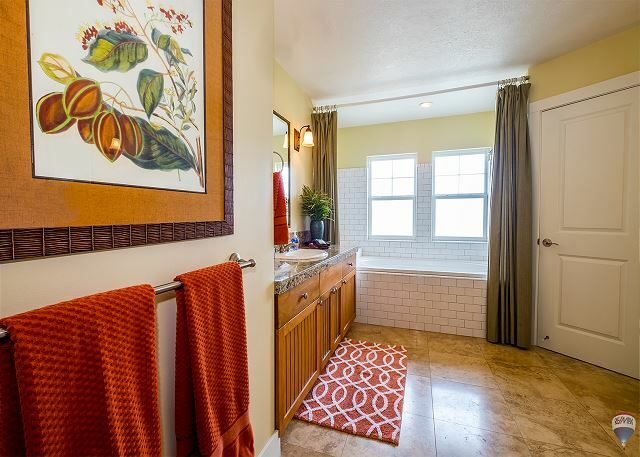 This unit is so relaxing, decorated top notch and felt like a warm home. Not to mention was spotless and we can be picky about that. They have beach chairs, towels, coolers which was so nice to just load and go with no resort crowds and noise. We ate out, loved Kalypso in Hanalei, and also cooked. We always said and hear people say they dont want to cook on vacation but we have to say it was convenient and easy after a day at the beach. We will return and thank you Remax for an effortless stay. No check in lines, bell caps, walking miles to your room. Just a simple code, we loved that. Mahalo!!!!!!!! Above all, this was a beautiful condo, lots of amenities, great location, etc. The only downfall is that the back rooms do not have A/C. I was there in July and the heat and humidity was difficult to deal with. I was stuck in the back room, not the master suite, and had a heck of a time getting comfortable. The trade winds were few and far between. The rest of the condo and the master suite were pleasant because the only a/c vents were in the main area of the condo and in the master suite. If its not the hottest time of year, then I'm sure this isn't an issue. Great place to stay otherwise! Loved it!! My family and I came down for my wedding shower and we had a great time at Plantations #521. I couldn't believe how affordable our unit was with all that came with it. The unit was decorated beautifully. 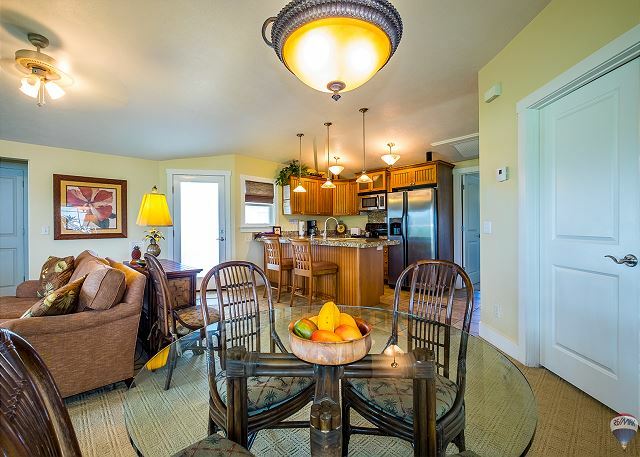 It was clean, cozy for 6 people, and in a great location close to the beautiful beaches of Kauai. The unit is equipped with everything you need from a washer and dryer, fully equipped kitchen, beach chairs and mats, a cooler, and air conditioning, which my mom loved! Keep in mind that there is only a vent in the master bedroom and living room, but is able to cool down the other two bedrooms after a while. You may be limited on dvd's, but you can rent them at the grocery store a 3 minute drive away for $1.99 each. We bought groceries and cooked our breakfast and dinners at the condo. We loved Lappert's Kauai Pie ice cream at the Hanalei shopping center. My friends rented a unit a few condos down and loved it as well! I highly recommend the unit to those traveling to the North Shore area. The only issue was dealing with the bugs indigenous to the area. There were some in the kitchen and when asked about an exterminator, we were told one was scheduled - for after we were leaving.